The slashed, patched up type reflects the aggressive ways some Christians attempt to "fix" non-heterosexual people. The large sans serif typeface of the voice of the perpetrators contrasts the small serif typeface of the author's voice. 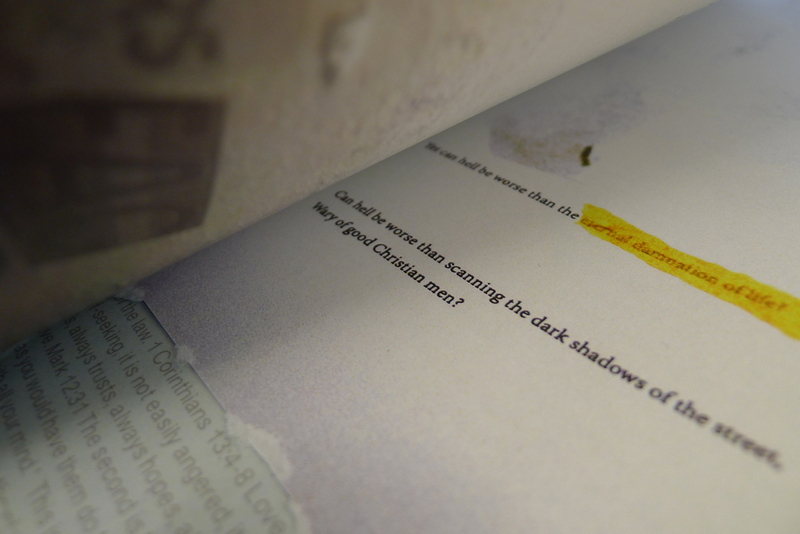 Throughout the article, bible quotes about love begin to show through the rips in the pages. The size of the rip increases, so that by the final spread, messages of love flood the page. These interior pages represent the voice of God. They are pale grey and light blue to reflect how this voice can be difficult to hear, especially when the negative voices are speaking so loudly. 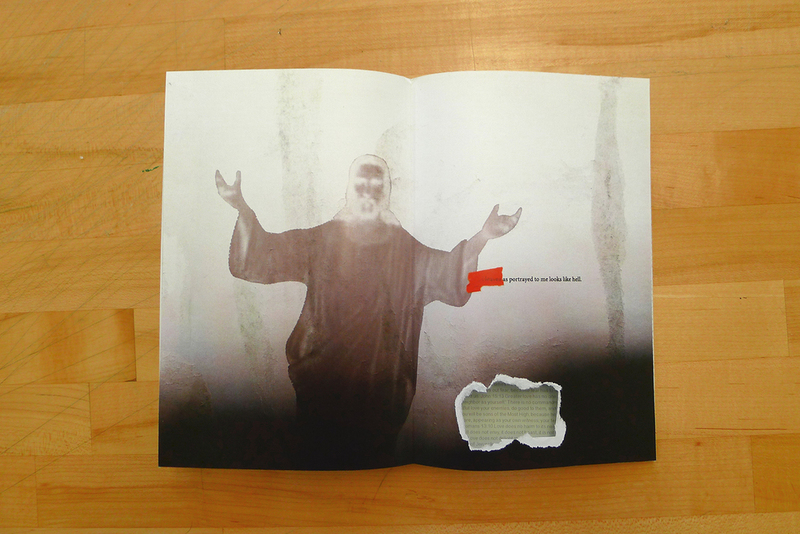 Within the Margins is a zine about people who have been pushed to the periphery. The first work in the collection is a poem by a Catholic individual who felt marginalized because of the way members of his faith community were treating him due to his sexual orientation.